Step 3 : Press "NumLock" key to near the top left keypad to enable numeric keypad. 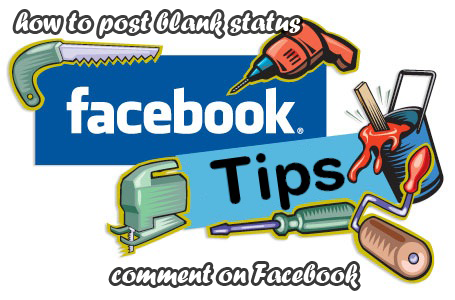 Step 5 : Click Post or Press Enter and you will see blank status or blank comment. "Note : This not only work with status and comment but it also work in chat too."